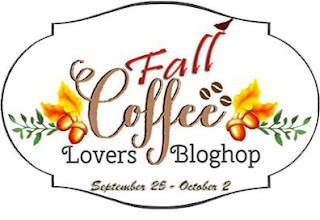 I want to share a card I made for the Fall Coffee Lovers Blog Hop, although the party has started on Friday, and today is Wednesday, I don't want to miss it! I had a lot of fun visiting so many blogs in the past few days. The background paper is by Lawn Fawn, the coffee cup is by My Favorite Things and the sentiment by Hero Arts. As a thank you to our awesome crafty community I'm giving away a $ 15 Starbucks gift certificate, you have time to leave your comments until midnight Saturday, I'll post the winner on Sunday. Thank you for visiting and have a blessed rest of the week. ETA I'm also adding this to Simon Says Stamps Wednesday Challenge "Anything goes"
LOLY!!!!!!! I'm thrilled to see you link up! What a cutie pie card!!!! That lawn fawn panel is stinkin' CUTE. So cute! Love the critter background. so cute, love the background paper!!!! Very pretty - love the perfect Fall colors. And that Lawn Fawn paper is so adorbs! This is just so adorable, really a perfect fall themed coffee card! Congrats! You win my blog candy! Please e-mail me your address ASAP! Thanks! Thank you so much Loly! I've emailed you back, so hopefully you've seen that. I remembered your gorgeous card! I like your background paper a lot. What a pretty card, Lola, love that background paper for your cup! Happy hopping! Loly - this is fantastic! 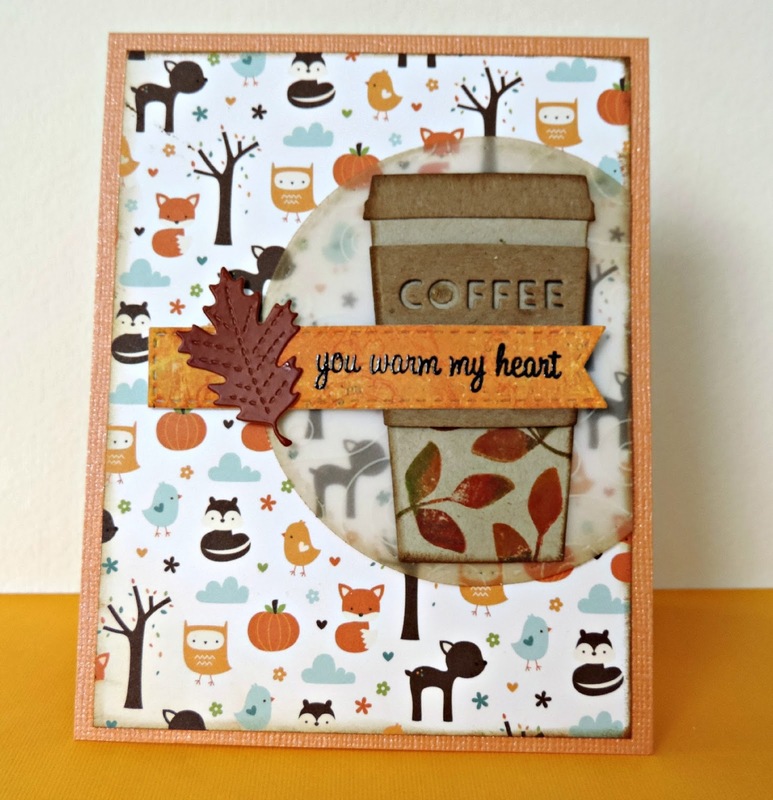 I love the diecut coffee sleeve - so cool and that background paper is just adorable!! So perfect for fall! This hop sure has been a lot of fun and so inspiring with all of the wonderful creations that everyone has been posting and all of the wonderful comments that everyone has been leaving too! Super sweet critters on your fabulous card, Loly! You are ever so generous, Loly. Your card is cute love that background! I'm having fun catching up on your posts. That backing paper is so perfect for this cute creation and love that vellum circle and a sweet coffee cup, so adorable, love it! So much to love! That background paper is adorable! I love the distressed vellum, stitched leaf and the negative coffee die on your fab cup!! Love this awesome paper and the embossed sentiment! Oh, this is a wonderful autumn card!!! LOVE the LF paper and the way you did the cup and how you added the stitched leaf. Just perfect. 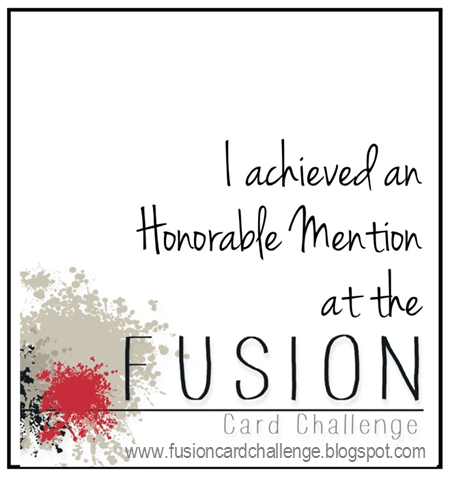 Thank you for the chance to win some blog candy!!! Love this beautiful card! The mug, the vellum, that leaf, and those gorgeous papers are all just perfect! So fabulous, fun and creative! Love the pattern paper you used!! Wow! I LOVE this! The background paper is amazing - I have GOT to get some! Cute background, love the beautifully inked cup and the sleeve with the die cut word!! Love the background papernot to mention the die cut sentiment banner across the cup. Great card. pretty papers! what a great cup!